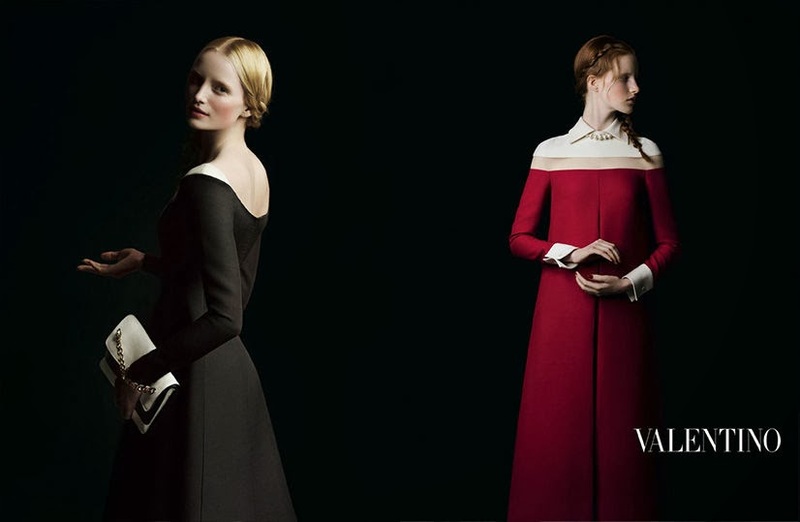 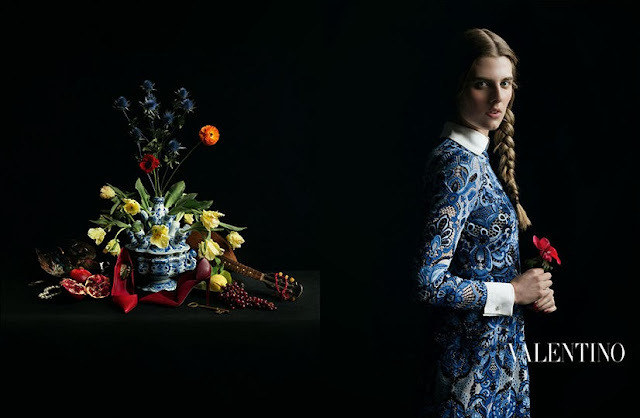 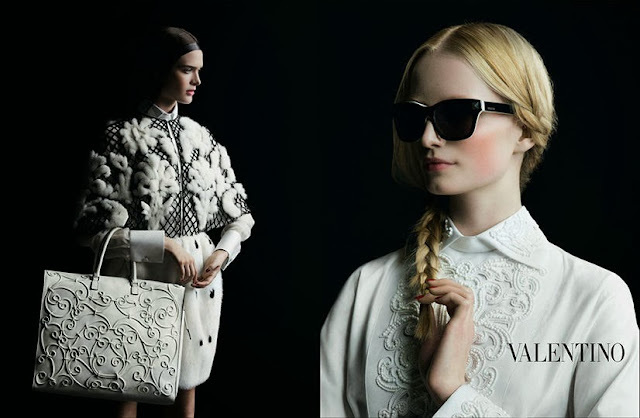 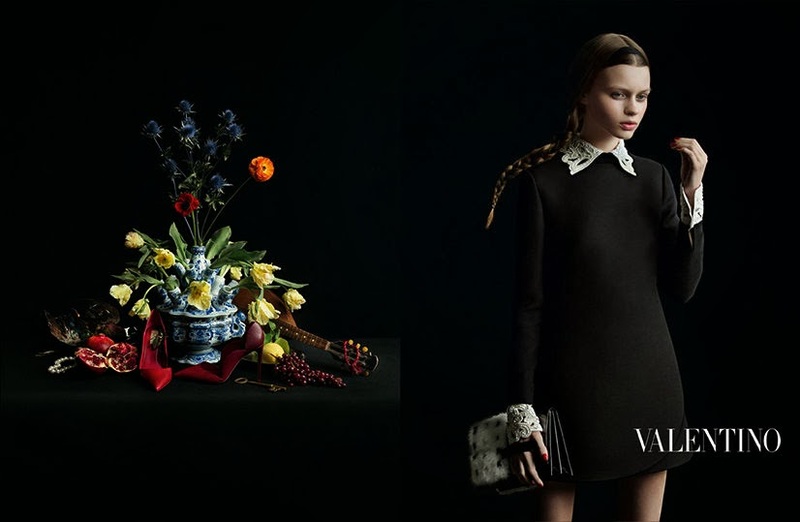 Valentino F/W 2013 Campaign is a real boon for the art lovers! 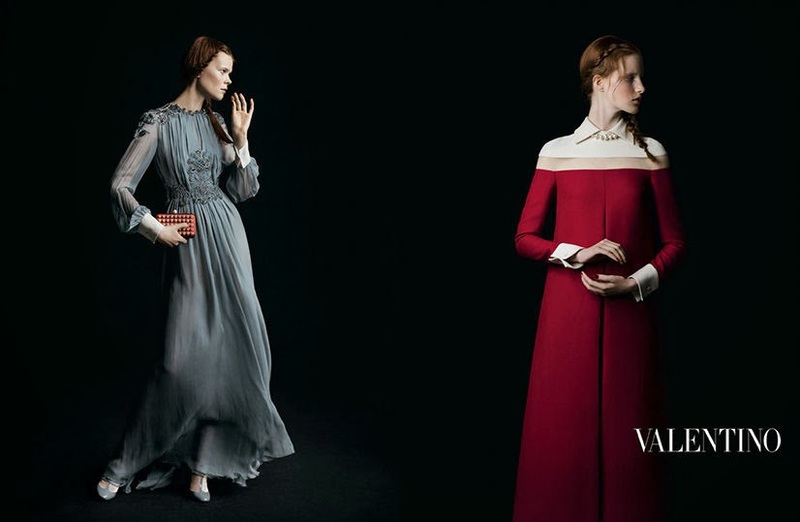 Influenced by the Baroque paintings of the Dutch Golden Age (roughly spans the 17th century), Valentino's designers - Maria Grazia Chiuri and Pierpaolo Piccioli - sourced their inspiration from the far-famed portrait works of Rembrandt and Johannes Vermeer. Both artists were known for the subtle colors and dark backgrounds of their masterpieces. 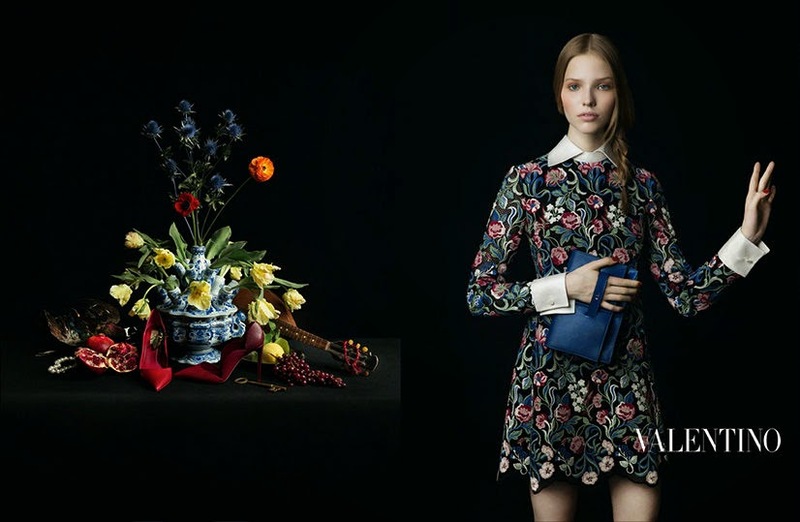 They tended to portrait people in a real modest way without any swagger and excessive pomposity, sometimes using props (flowers, fruits, dead animals etc.). 'Girl with a Pearl Earring' by Johannes Vermeer can be a clear illustration to this tendency. 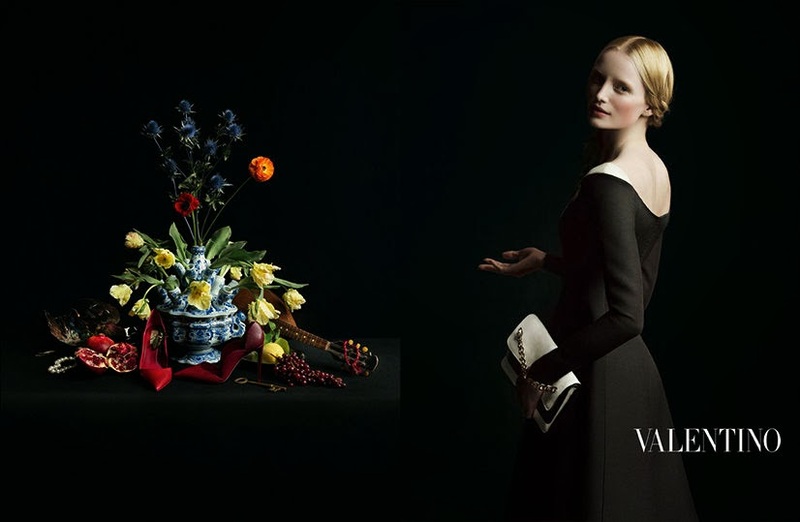 In fact, this painting brought the most profound influence on the Valentino's collection, giving it a graceful and exquisite touch. 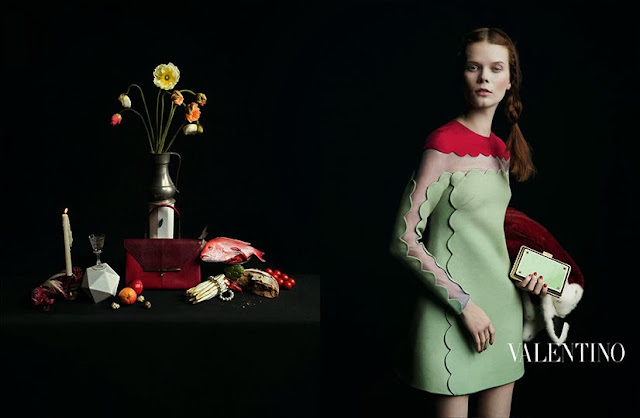 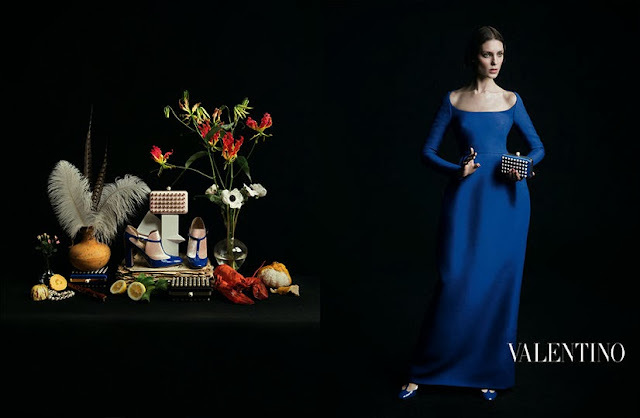 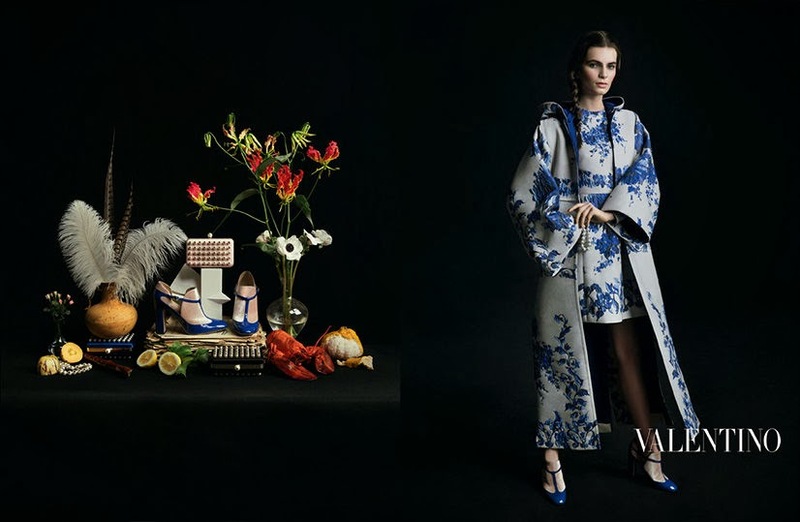 In thiss TESSful F/W 2013 campaign Valentino's models are shown as 'a real-life paintings' surrounded with accessories as an alternative props. Campaign features mostly fresh faces: Magdalena Jasek (Polish), Laura Kampman (Dutch), Irina Kravchenko (Ukraininan), Erika Labanauskaite (Lithuanian), Sasha Luss (Russian), Kati Nescher (Russian / German), Sam Rollinson (British), Nouk Torsing (Dutch), Tamara Weijenberg (Dutch) and Maud Welzen (Dutch) and was TESSfully photographed by the world-known Dutch duo Inez van Lamsweerde & Vinoodh Matadin.